Do your environmental standards match your builder’s? Read on for Kensington’s approach to sustainable housing. When choosing a new home builder, you want your environmental values to be reflected in their approach. 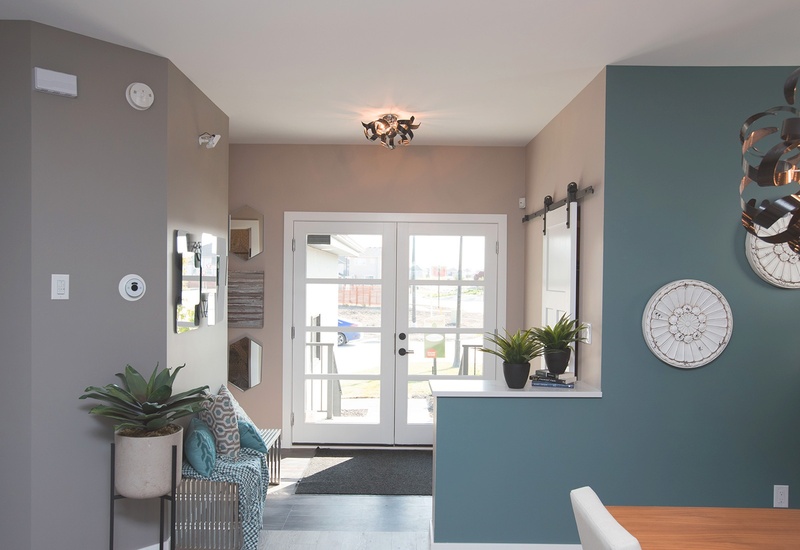 Every new home designed by Kensington Homes prioritizes sustainable measures, meeting and exceeding modern expectations for energy efficiency. Building new is not only advantageous due to warranty protections, but you have peace of mind knowing that your home was built according to current building practices and followed the builder’s own mandate for sustainability. With comprehensive air sealing, insulation, and modern advancements to the building envelope, Kensington’s new construction homes have an average heat savings of 21 per cent over a home of 10 years or older. In Winnipeg’s cold climate, this can provide significant savings over the winter months, while maintaining a comfortable atmosphere throughout the home (i.e. no cold drafts). Typically, windows and doors can account for over 40 per cent of the total heat loss in your home. With this in mind, Kensington installs high-performance Triple Pane or dual Low-E with Argon exterior windows and doors. Besides keeping the heat in, these components have the added benefit of passive solar heating and natural light. Water heating accounts for nearly 20 per cent of an older home’s consumed energy. The contemporary drain water recovery system installed in new Kensington Homes saves approximately 25 per cent of these sunken costs. Our low-flow toilets, faucets and showerheads further reduce the cost of water consumption. About 65 per cent of an average household’s energy budget is spent on space heating. With programmable high-efficiency mechanical systems as a standard, Kensington’s homes save you money by automatically adjusting the house temperature to whatever you desire. All Kensington Homes are outfitted with LED lighting in every room, which require replacement far less frequently than standard incandescent bulbs, and swallow up to 75 per cent less electricity. With LED lights outlasting their predecessors by about 25 times, they pass down major savings to the homeowner, and translate to far less trips up the ladder. As a Qualico Company, Kensington’s efforts are augmented by Qualico's tree planting and wood recycling programs, which repurposes scrap building products, leads to better quality air in communities, and significantly reduces natural gas consumption and carbon dioxide emissions. © 2018 Kensington Homes. All Rights Reserved.